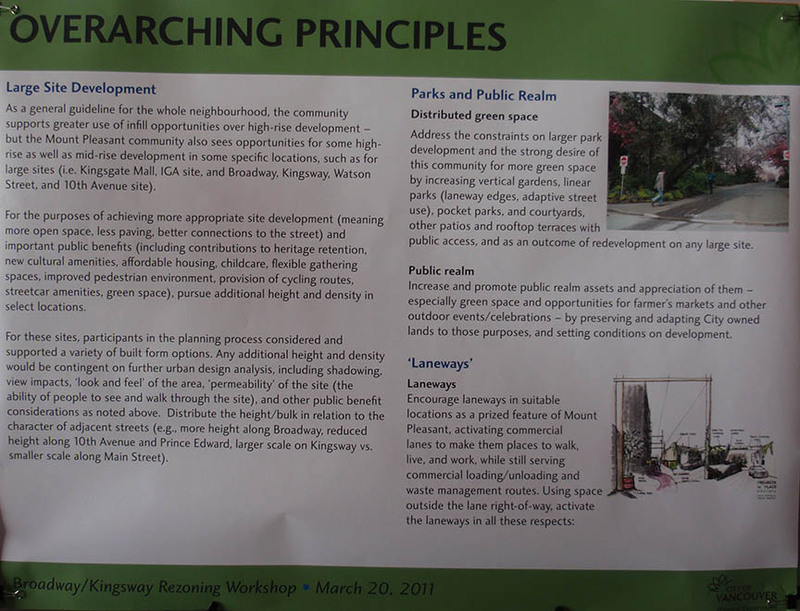 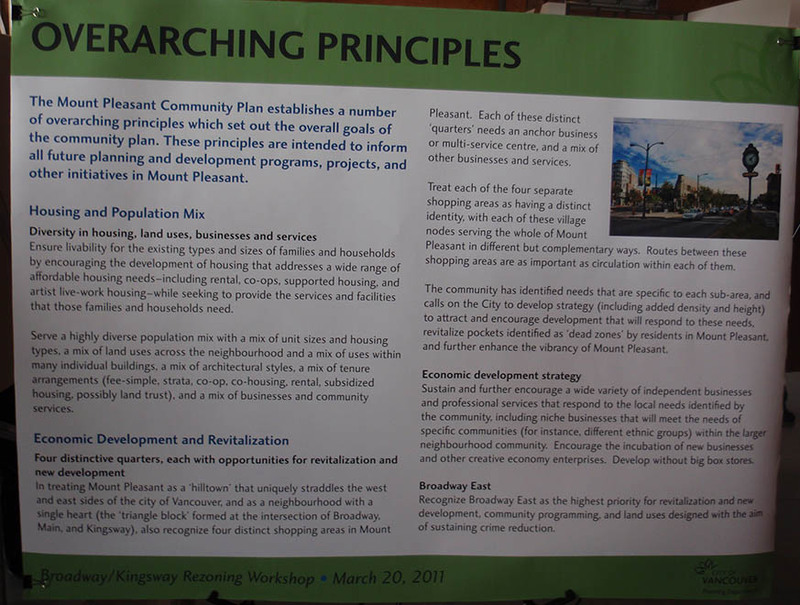 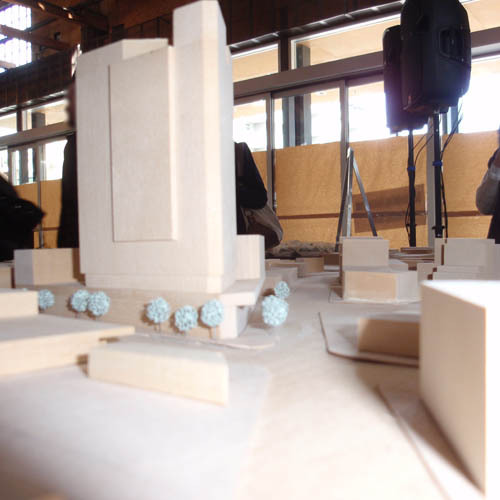 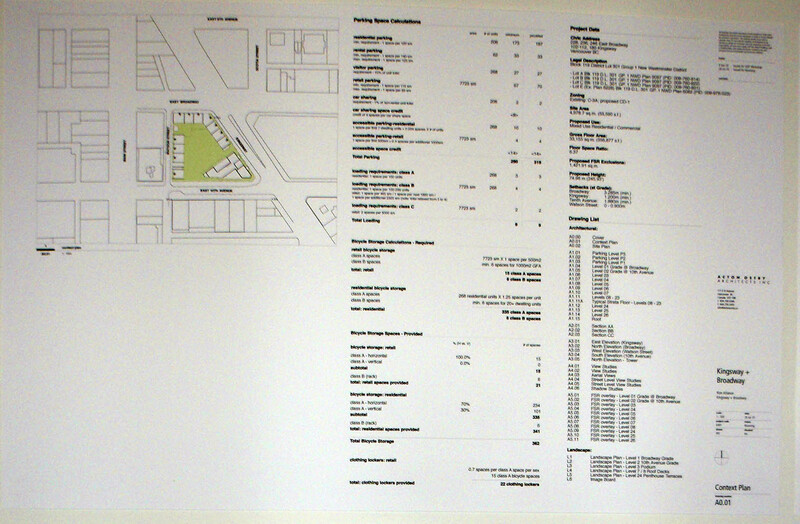 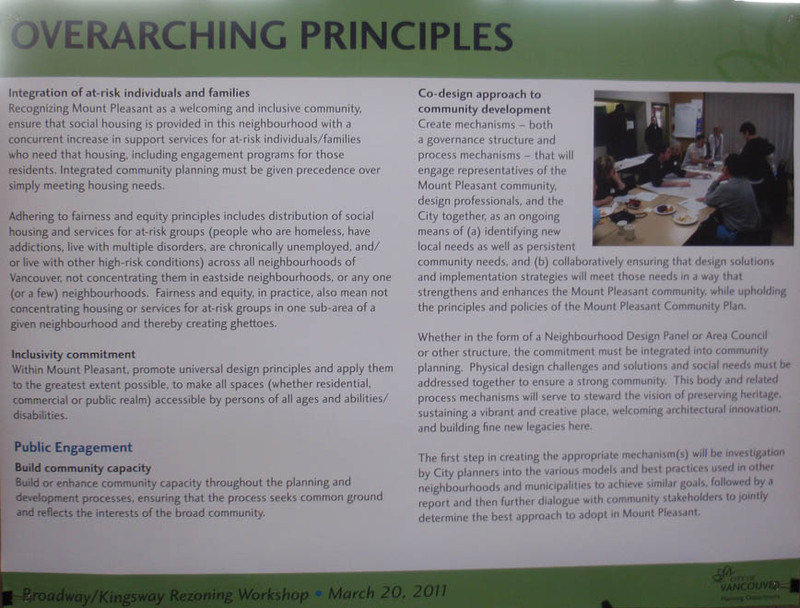 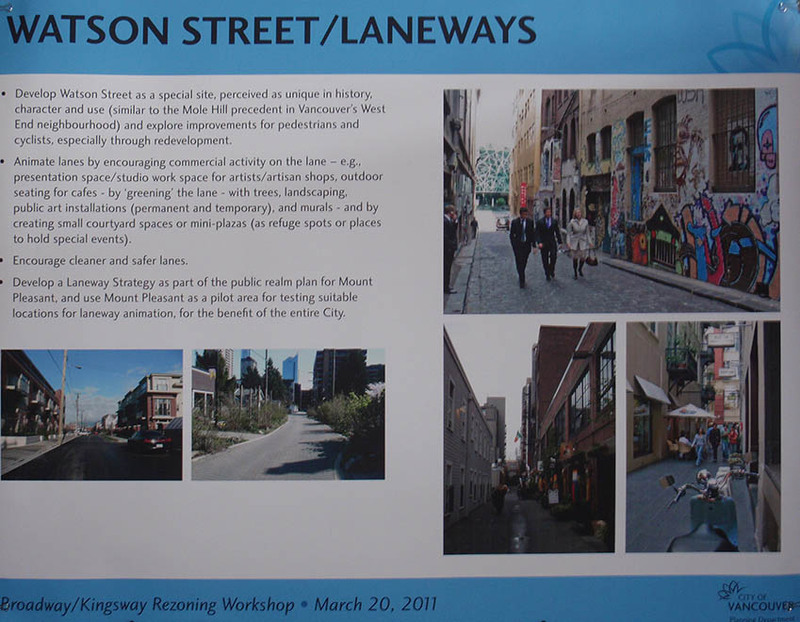 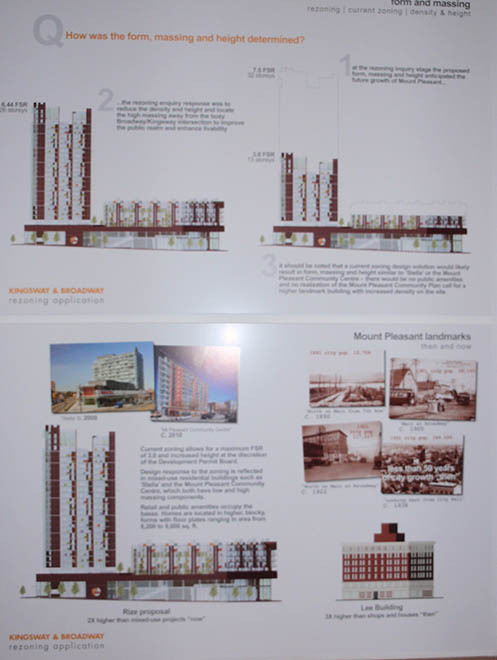 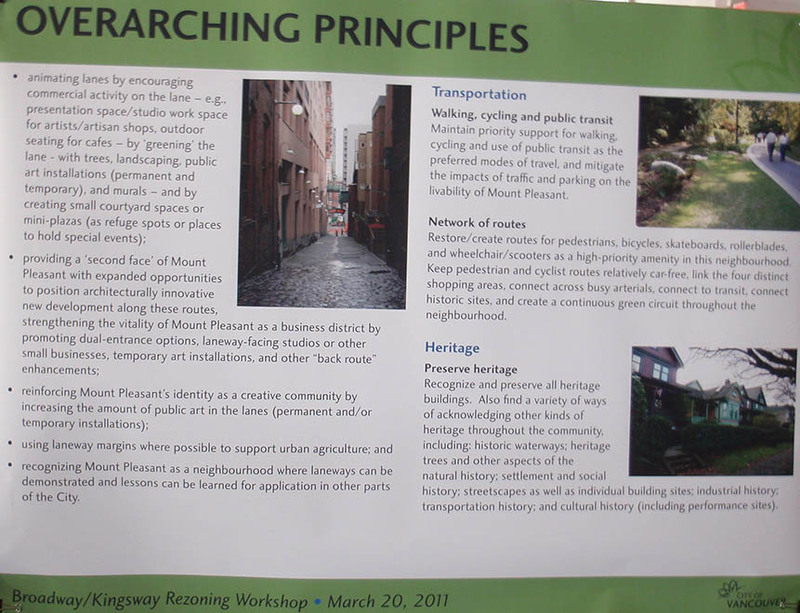 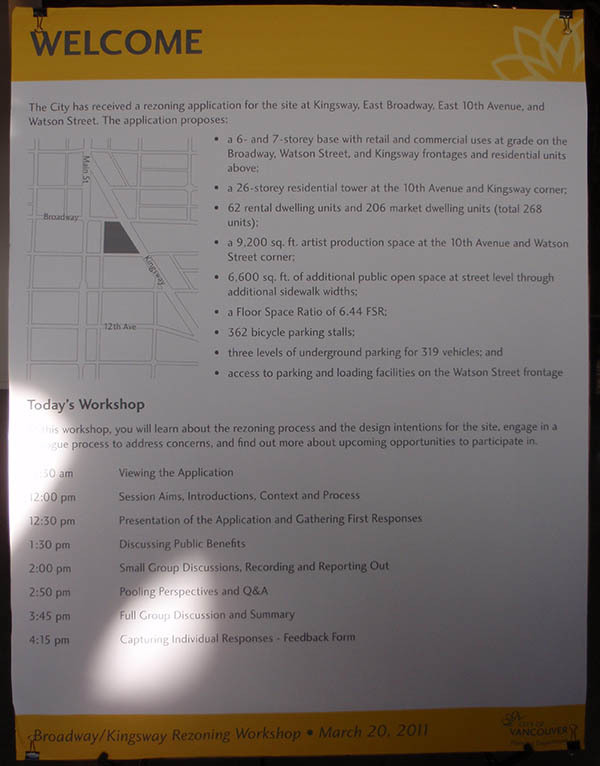 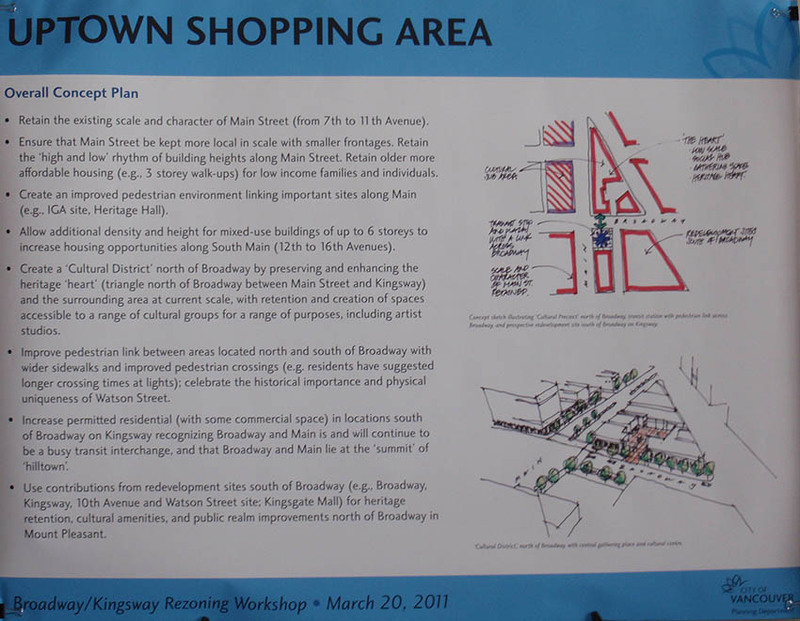 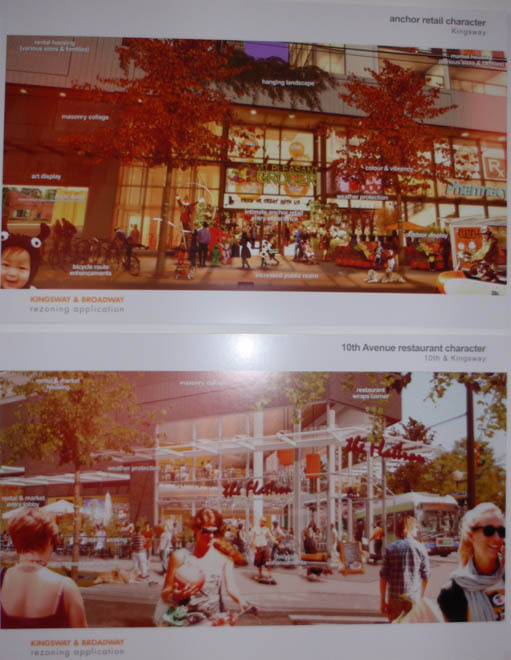 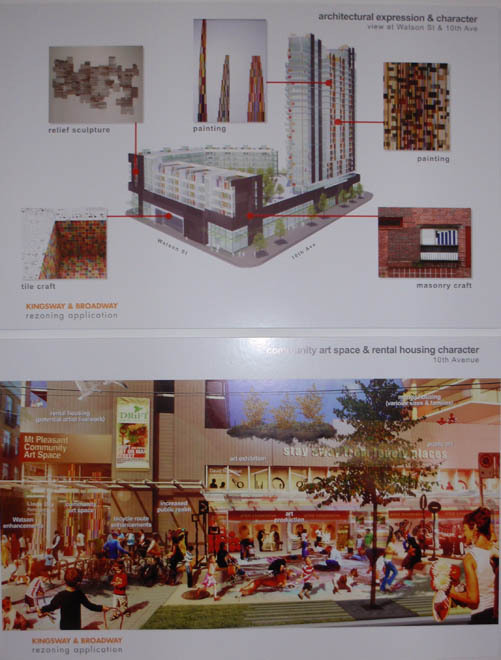 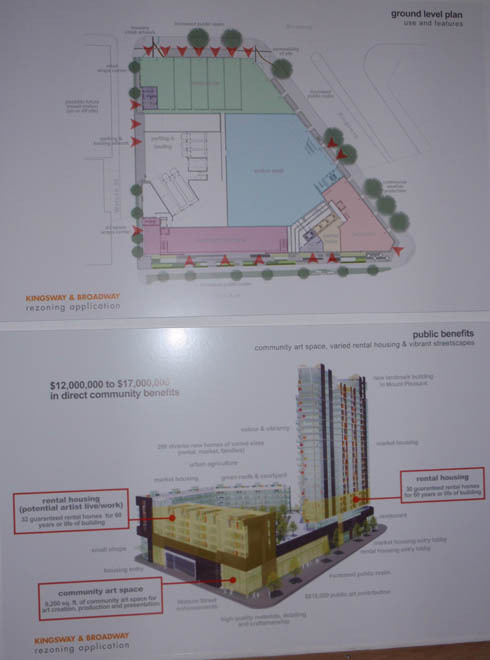 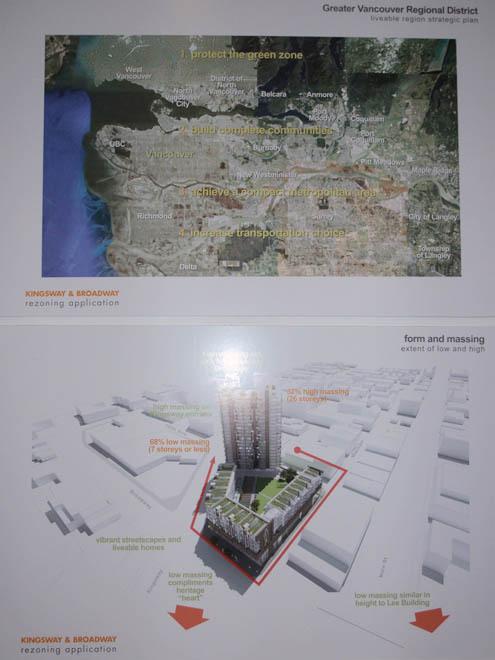 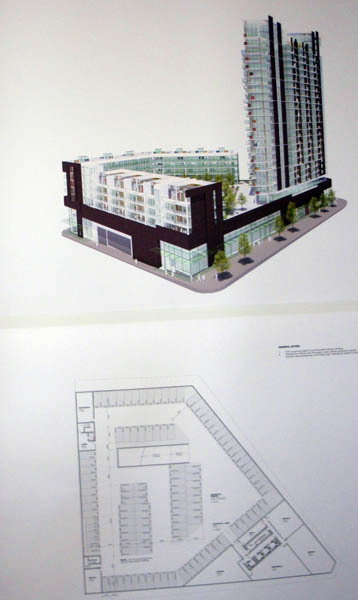 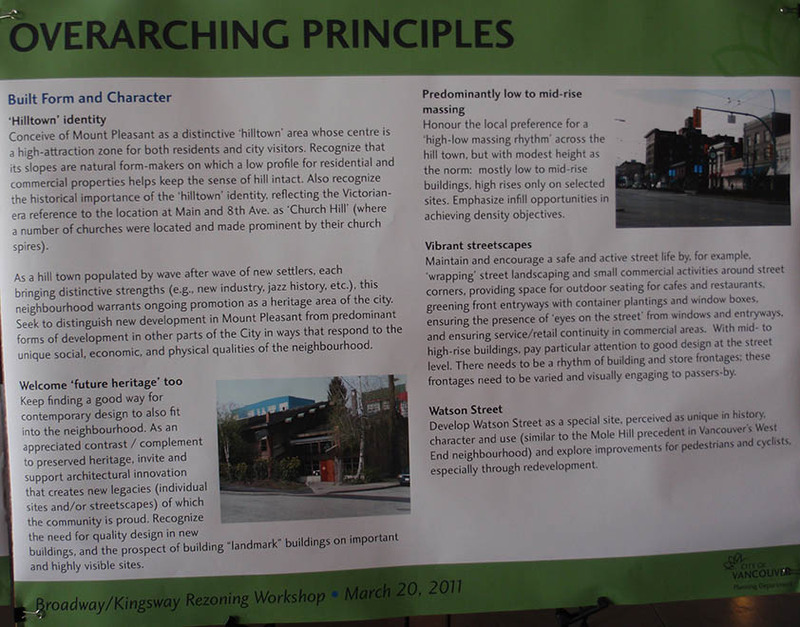 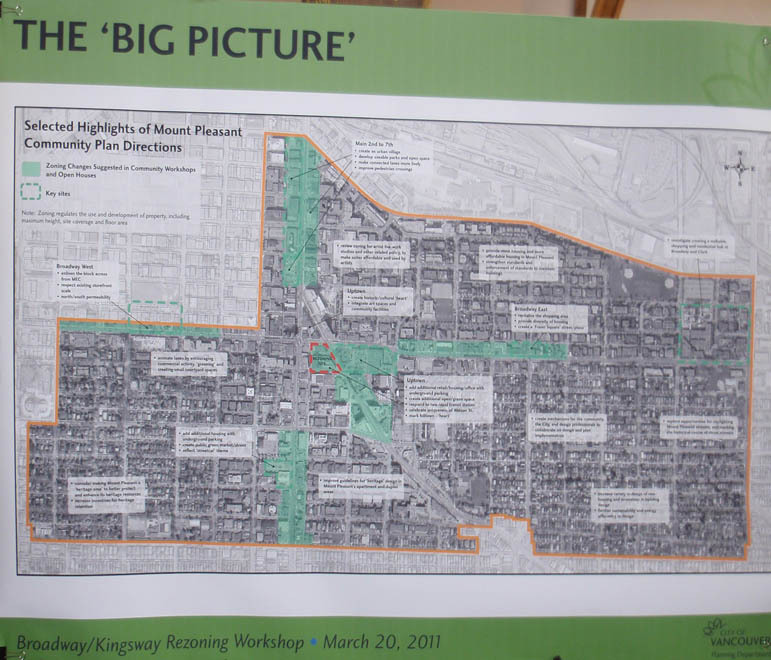 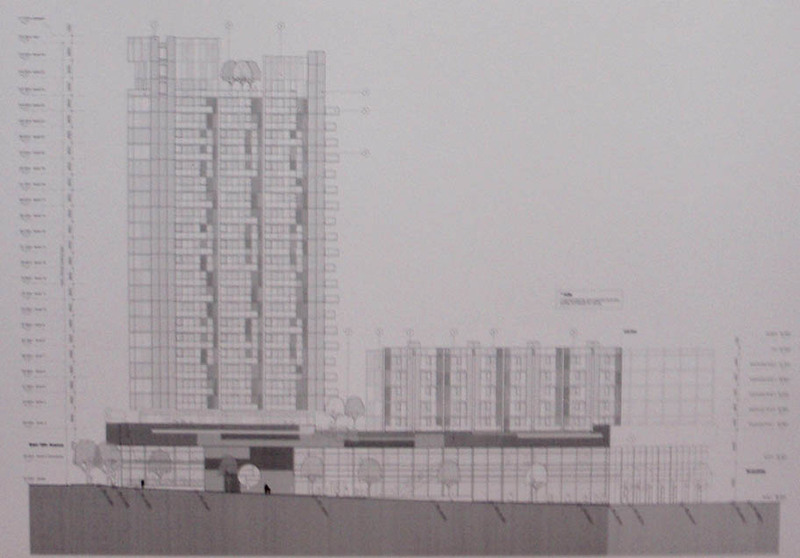 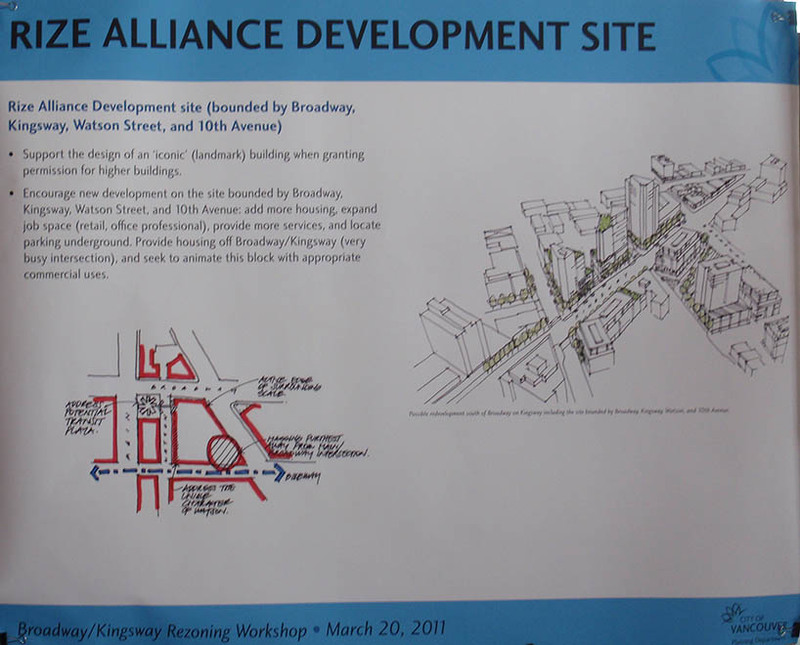 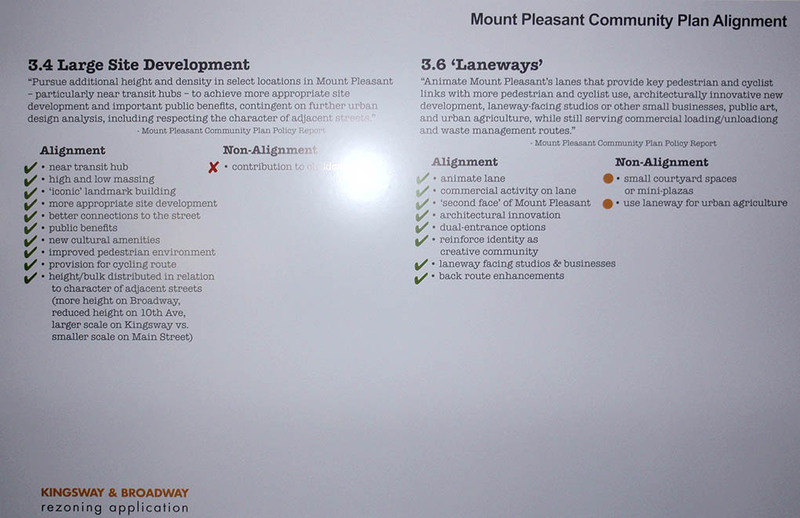 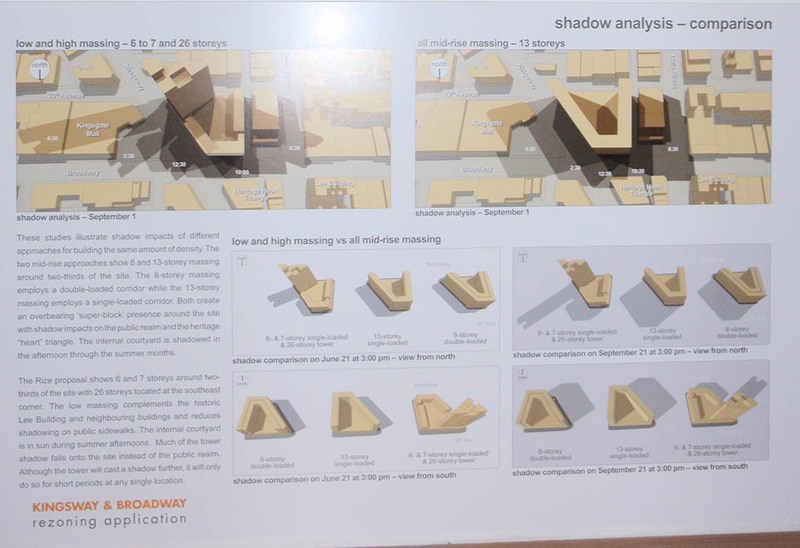 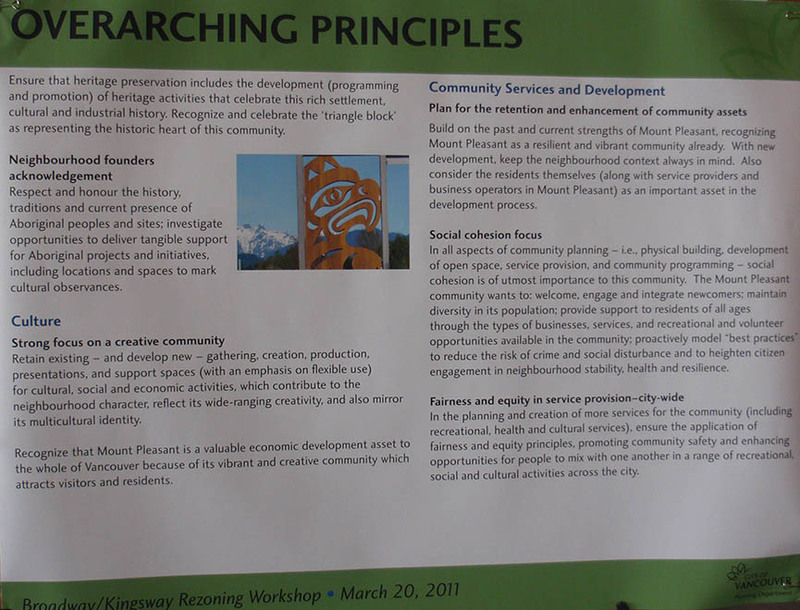 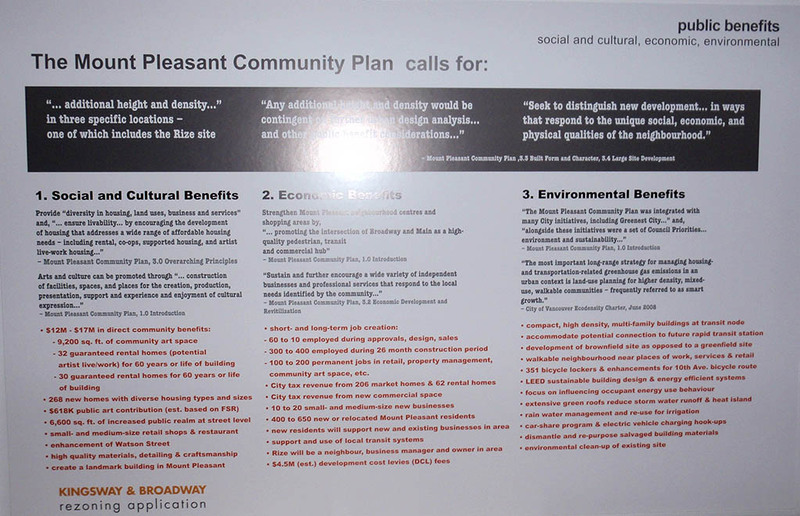 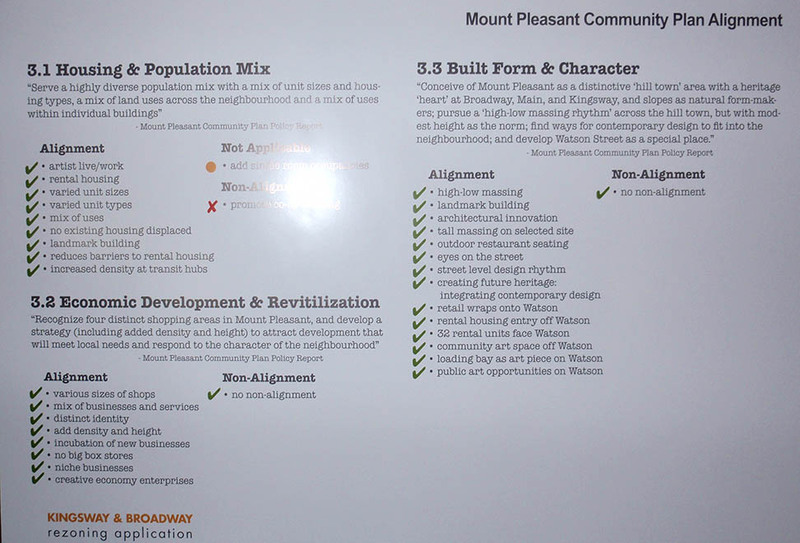 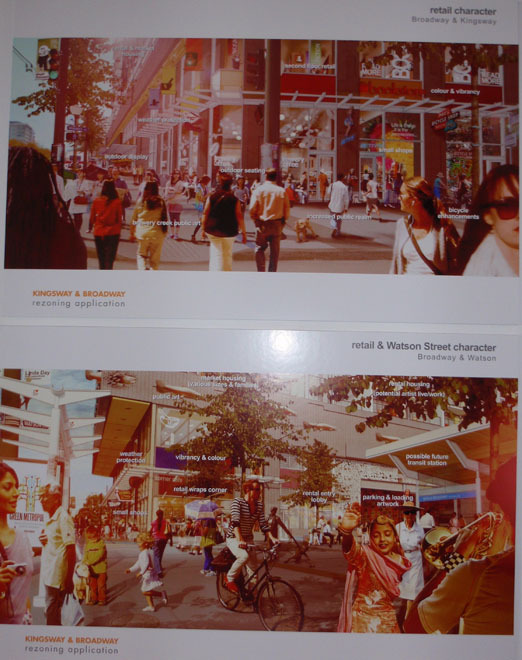 The panels and handouts materials from the workshop on the proposed Broadway/Kingsway block redevelopment held on March 20th are available below. 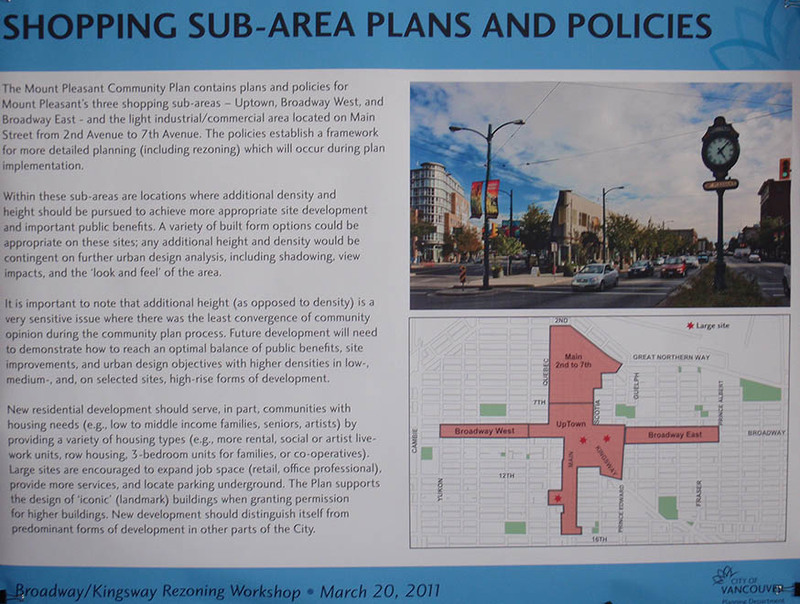 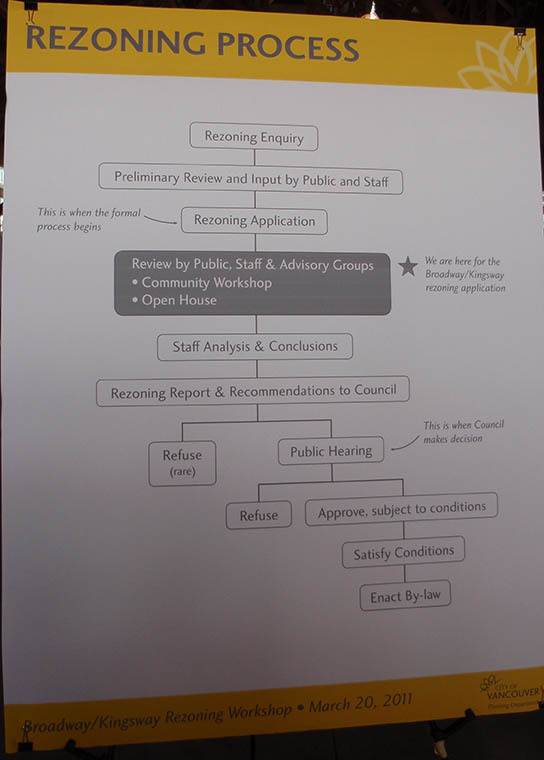 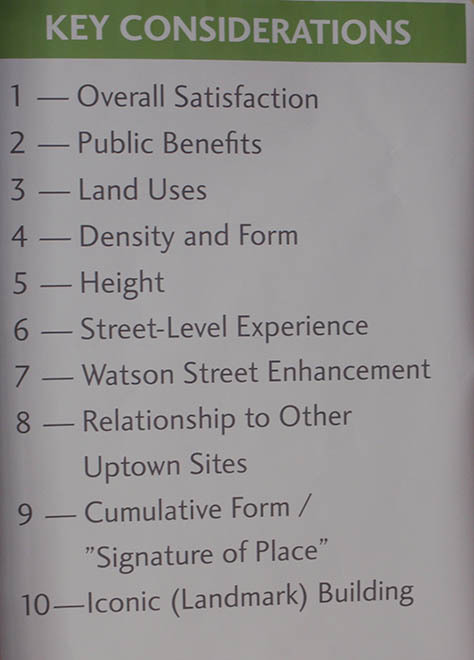 This workshop was run jointly by the Developer (Rize Alliance) and the City of Vancouver Planning department. 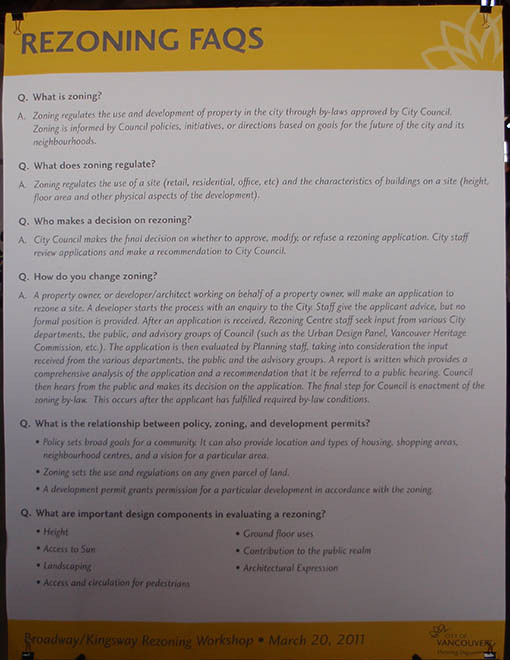 A formal Open House for the rezoning application has been announced for April 12th; the workshop materials will likely be reused in one form or another.